The Governors State University Library's mission is to support the scholarship of teaching and learning in the University's academic programs, as well as the wider University community. Designated a Government Depository Library for Federal and State documents, the Library offers a rich collection and expert services to support faculty, staff, and students. Library research may be conducted on site and through the library's website 24/7. Library hours of service vary by semester. Please check the library's website, www.govst.edu/library, and the library's portal page on mygsu.govst.edu for hours of operation, special programs, and research guides. The University Library's online catalog, Voyager, provides access to the library's physical and digital collections. Books, journals, and videos are available in print and electronic formats. Voyager is part of the I-Share union catalog of more than ninety member libraries of the Consortium of Academic and Research Libraries in Illinois. By accessing I-Share through the University Library's Voyager catalog, library users can also initiate interlibrary loan requests from the other ninety I-Share member libraries. Requested materials will be delivered to the Governors State University Library or to any I-Share library for retrieval. In addition, the Governors State Library has cooperative agreements with other academic libraries which allows for students to have access to their collections using their current GSU myONECARD. With subscriptions to more than ninety electronic databases available, users can locate full-text books and journal articles, as well as citations to articles, books, and other materials in a variety of subject areas related to the curriculum. The library's online Research Guides and A-Z List are gateways to accessing these resources via the Internet. The library's digital repository, OPUS (Open Portal to University Scholarship), archives and publishes faculty and student scholarly work, as well as materials of importance to the University's history and regional engagement. The repository is located on the Internet at http://opus.govst.edu. Resources include test and assessment files which contain sample materials used for psychological and educational testing and measurement, selected K-12 textbooks, and juvenile literature which support the teacher education program, and reserve materials assigned by faculty to support current courses. The Reference collection contains research materials such as encyclopedias, directories, and unique research materials that do not circulate. Special collections include the Schomburg collection, Human Area Resource Files, and the Third Airport collection. Two academic e-book collections are maintained on the Ebrary and Ebsco e-book platforms, in addition to the Credo Reference library. A growing collection of e-books, many of which can be downloaded to e-book readers, is collected in a variety of academic subject areas. Information and library research help is available in person, by phone, by Live Help chat, or by email during hours of operation. Tenure-track library faculty provide subject specific research assistance upon request or appointment. Library professional staff members are also prepared to provide expert assistance with library research questions. Library facilities include private and group study and lounge areas, wireless network access for personal laptop computers, computer workstations for library research, scanners, equipment for viewing audiovisual materials, a microform reader-printer, and a digital microform reader-printer-scanner. A shared student computing lab and printing center hosts printing, faxing, and photocopying services. There is a charge for photocopies, printing, and faxing. Library staff members are available to give tours of the library, and library faculty members provide library instruction to individuals and groups upon request. Library Faculty provide library research instruction upon request both on site and through the Blackboard learning platform, upon request. Tutorials on how to use library resources are published on the Library Research Guides platform. Workshops and training are offered to students, faculty, staff, and community members. The workshop schedule can be found on the library website. Writing Center tutors are available for APA, MLA and other style formatting questions and brief writing consultations at scheduled times. Book binding services for student and faculty work are available. For more information about library services, and a list of library faculty subject liaisons, visit the library website, www.govst.edu/library, the Library portal page. You may contact the Library by email at library@govst.edu, or by calling the Library at 708.534.4111. University Housing: www.govst.edu/housing; GSU Bookstore: www.govst.edu/bookstore; Campus Dining, Vending and Catering: www.govst.edu/dining; and myONECARD: www.govst.edu/myONECARD. The Office of Career Services assists students and alumni with all facets of their career development. The office offers individual advising appointments and workshops where students can receive assistance with skills identification, career exploration, developing a job search strategy, resumes, interviewing, networking, negotiating offers, employer research and writing job search correspondence. Career Services maintains an Experience job and internship database, which houses postings from local employers and on campus student employment opportunities. The office hosts four to five career fairs during the academic year, which are targeted career fairs such as the Education or Health and Human Services Career Fairs. For students in online degree programs, services are further provided through telephone appointments and email correspondence. The Career Services website at www.govst.edu/careerservices also provides a wealth of career-related resources for all students and alumni. The 1,170-seat Center for Performing Arts is dedicated to providing a wide array of quality arts, popular, educational, and family programming to the immediate community and its surrounding metropolitan region. Major star attractions are featured, as well as a variety of Illinois artists and performing arts companies. The Arts in Education Program at the Center serves over 40,000 area children with professional performances, performing arts camps, and master classes. The Center is also a meeting place for area businesses, organizations, and community events. For information and tickets, call 708.235.2222 or see the Center website at www.centertickets.net. The Family Development Center, located across from the main campus, makes use of light, space, and natural elements to enhance the sense of community central to child-centered programming. Educational research and models of effective teaching practices played a key role in the development of the center's program philosophies. Center programs provide field sites for university instruction, and offer services to GSU students, faculty, and surrounding community members. Programs are available by registration with program staff, and include the following: 1) State licensed childcare for children ages 6 weeks to 5 years; 2) State funded preschool for children 3-5 years; 3) after school enrichment for children ages 5 to 12; 4) birth to age 5 parenting support for families with infants, toddlers, and preschool children; and 5) parent and child play groups with home visits. Specific program information is available at 708.235.7300, or www.govst.edu/children. CECSC is designed to be a one-stop-shop for students, faculty and community members focusing on social justice and civic responsibility. Students interested in service opportunities, faculty interested in incorporating service and civic engagement activities in their classes, and community partners interested in recruiting volunteers, will be able to bridge resources through this office. The Center works collaboratively with Illinois Campus Compact and has AmeriCorps VISTA(s) in residence. Community Service Officers provide students, staff, and visitors safe conduct to their cars, especially late at night. Services are available seven days a week. Community Service Officers help motorists with battery problems, frozen locks, empty gas tanks, and tires that are low on air. If a motorist is locked out of his or her car, personnel from the Department of Public Safety will assist in unlocking it. A Community Service Officer can be contacted by dialing the Department of Public Safety at 708.534.4900. The Cube provides computer facilities for students, faculty, and staff. The Cube complex is comprised of seven classrooms and an open lab. All computers are connected to the Internet. Hardware in The Cube labs include Intel Core 2 Duo Processors, iMacs, laser printers, and a scanner. Operating systems include Windows 7 Professional and Macintosh Lion OS. Software categories include Microsoft Office 2010, programming languages, graphics, and client software. Printing can be done at Pay-to-Print stations in Print Central. Students enrolled at Governors State and holding a valid student I.D. card may use The Cube facilities. The Cube is located on the second floor of the D Wing, just past the library. The CUBE is open Monday through Friday, 8:30 a.m. - 10:30 p.m.; Saturday, 8:30 a.m. - 5 p.m.; Sunday (fall/spring), 1 - 9 p.m.; and Sunday (summer), closed. Student lab aides are available to answer questions and assist users. For current information about The Cube, please visit www.govst.edu/acslab. The professional staff offers confidential counseling for currently enrolled students seeking to address academic or personal concerns. Appointments can be made by contacting 708.235.7334. Additional information regarding counseling services is available on the Learning Commons/Academic Resource Center website at http://www.govst.edu/Campus_Life/Health_and_Counseling/Counseling_Center/. The Department of Human Resources and Diversity offers information and assistance to students who believe that they have been discriminated against because of race, color, national origin, religion, gender, ancestry, age, sexual orientation, marital status, disability, citizenship, unfavorable discharge from military service, or veteran status. The office also offers information and assistance to students who believe they have been victims of sexual harassment. Any student who believes that he or she has been unlawfully discriminated against or has been a victim of sexual harassment may file a grievance with the Department of Human Resources and Diversity. The Office of Disability Services is dedicated to creating an accessible environment and providing equality of educational opportunities for students with documented disabilities. GSU's goal is to focus on a student's ability not the disability. Disability Services ensures compliance with the Americans with Disabilities Act and with Section 504 of the Rehabilitation Act of 1973. Legally mandated access and accommodations are available to all qualified students who self-identify with Disability Services. Students must provide documentation by a qualified professional who can verify the functional impact of the disability as well as provide recommendations for appropriate accommodations. The information provided by students is voluntary and confidential. If requests for auxiliary aids, academic adjustments, or other special services necessitate a modification of academic standards or create an undue hardship on the university, the requests may be denied. To arrange for appropriate accommodations, contact the Director of Disability Services at 708.534.4090. Governors State University is recognized as one of the most diverse institutions of higher education in the State of Illinois. Consequently, we are committed to campus-wide efforts that affirm the diversity represented within the University community and the value and vitality that pluralism brings to our individual and collective experience. Through the Student Life Unit, Intercultural Student Affairs coordinates cultural support for Latino students and their parents, provides support for affinity clubs and organizations, special events, workshops, and thematic programs that recognize the ethnic and cultural diversity of the campus as community strength. This association is dedicated to recognizing the academically outstanding undergraduate adult learning students in continuing higher education. Advisor: Latonya Holmes, lholmes@govst.edu. Dedicated to the recognition and encouragement of scholarship, the development of personal and professional leadership qualities, and service to the field of reading. Advisor: Dr. Sandra Gandy, sgandy@govst.edu. An international honor society for students, professional counselors, and counselor educators dedicated to scholarship, research, professionalism, leadership, and excellence in counseling, and to recognizing achievements in the pursuit of academic and clinical excellence in counseling. Advisor: Dr. Cyrus Ellis, cellis@govst.edu. This international honor society for business programs is accredited by ACBSP at the baccalaureate and graduate level. Advisor: Dr. Ting Je Wang, twang@govst.edu. Dedicated to understanding and promoting the professions related to criminal justice studies. Advisor: Caron Jacobson, cjacobson@govst.edu. Lambda Pi Eta is the official communication studies honor society of the National Communication Association (NCA). Advisor: Tamara Winn, twinn@govst.edu. The society invites into membership those who have attained excellence in scholarship and achievement in social work. Members support each other, promote humanitarian goals and ideals, and foster high standards of education for social workers. Advisor: Phyllis West, pwest@govst.edu. The national honor society for occupational therapy supports the development of occupational sciences and the practice of authentic occupational therapy by promoting research and other scholarly activities by its members. It both serves its members and helps insure quality health care services for the general public. Advisor: Catherine Brady at cbrady@govst.edu. SALUTE Veterans National Honor Society, the premier honor society for student veterans! Your membership symbolizes the commitment to recognizing and encouraging the academic success of student veterans at your institution. Advisor: Kevin Smith, ksmith9@govst.edu. The Honor Society of Nursing, Sigma Theta Tau International, is advancing world health and celebrating nursing excellence in scholarship, leadership, and service. Advisor: Shirley Comer, scomer@govst.edu. Tau Sigma Honor Society is a national honor society designed exclusively for transfer students. Advisor: Sheree Sanderson, ssanderson@govst.edu. Upsilon Phi Delta is an honor society, recognizing the academic excellence of Healthcare Administration students. Advisor: Dr. Rupert M. Evans, Sr. revans@govst.edu. Staying healthy is important to your personal and academic success! Accordingly, the Health and Student Counseling Center at Governors State University, located in A-1120, provides healthcare and counseling for students by addressing their psychological and physical health, wellness, and well-being needs. Governors State University and Advocate Health Care are partnering to offer the first health service in the university's history. The center can be used as a resource to stay healthy, physically and mentally. Our medical and behavioral health teams work with you as partners by providing confidential, compassionate and high quality care. The center is staffed by a diverse and collaborative team comprised of a psychologist, licensed counselors, post-doctoral interns, a certified family nurse practitioner, nurse and support staff. The Illinois College Student Immunization Act (110-ILCS 20) requires all admitted students born on or after January 1, 1957 and enrolled in six or more credit hours of on campus classes to provide proof of immunity for tetanus/diphtheria, measles, mumps and rubella. Immunization records must be signed and dated by a nurse or physician and must include a tetanus/diphtheria booster within the past ten years, and two MMRs' (measles, mumps, rubella) after the first birthday. International students born outside of the United States must provide proof of three DTs and two MMRs. If records are not in English, they must be accompanied by a certified translation. Information and further instruction for meeting the stated immunization requirements can be obtained from the Immunization website at: http://www.govst.edu/immunizations/ or by calling 708.235.7154. Information concerning student enrollment, grade reports, certification for graduation, diplomas, commencement, and transcripts can be obtained from the Registrar's Office. This office also processes changes of address, name, and residence classification. Governors State University is in compliance with and enforces the Public Act 96-574 as it pertains to sexual harassment in higher education. Students and employees are encouraged to contact the Department of Human Resources with any related complaints or questions. Police, public safety, and emergency medical services in cooperation with the University Park Fire Department are available at all times from the university's Department of Public Safety at 708.534.4900. Complete details regarding all aspects of Campus Safety are found here. The Recreation/Fitness Center includes a 167,000 gallon indoor-heated swimming pool, a cardiovascular resistance-training fitness room, a gymnasium, a racquetball court, and shower and locker facilities. The Recreation/Fitness Center is open seven days a week during the fall and spring semesters; it is closed Sundays during the summer session. Recreation/Fitness Center community memberships may be purchased through the sales office. For a facility tour, membership information, fitness classes, or general inquiries, visit Room A1106 or call 708.534.4556. The Department of Public Safety operates scheduled daily shuttle services to the Metra Station from early morning to late evening at selected times based on Metra train scheduling and ridership demands. Visit http://www.govst.edu/ShuttleSchedule/ for the most up to date schedule of the GSUXpress Shuttle. The university is governed by three senates representing the faculty, civil service, and students. The Student Senate is charged with the responsibility of representing student interests in all policies governing the university. A student is also elected to be a representative to the GSU Board of Trustees. A student and an alternate are elected to represent the university on the Student Advisory Committee to the Illinois Board of Higher Education. Positions are open to all students in academic good standing. Elections are held twice a year to fill the student government positions. Visit www.govst.edu/studentsenate. The Student Handbook provides students with information on policies, student fees, student services, grievance procedures, etc., as well as an administrative overview. Student Handbooks can be found at the GSU website at www.govst.edu/studenthandbook. The myONECARD is the official GSU student identification card and must be used to access the resources of the GSU Library, the Recreation and Fitness Center, and for access to STUDENT ONLY activities. In addition, the myONECARD can be used in the Library and ACS lab for "Pay for Print" stations, for purchases at the GSU Bookstore and in the GSU Café, and the Prairie Place C-store. Residents of Prairie Place also use their myONECARD to access the Laundry Services available in Prairie Place and the electronic doors in Prairie Place. The myONECARD is issued to all registered students and employees at the Office of Auxiliary Services & University Housing (C1330) or at the Welcome Center (D Building, Main Entrance). Students/employees must show a valid driver's license, state ID, military ID or passport when requesting a myONECARD. For more information see the myONECARD website at www.govst.edu/myonecard. Located on the second floor of the A Building, this area has been designed to bring students together through a variety of programs and services. The Student Center includes Student Commons, which houses a television lounge, student computers, study areas, and Student Row. Student Row includes the Student Senate Office, Board of Trustees and IBHE Student Representatives, Student Enrichment Program, FYE Orientation and Peer Mentors Office, and Club of the Year Office. The Dean of Students Office, Student Life staff offices, Center for Intercultural Student Affairs, Civic Engagement and Community Service Center, GSU Food Pantry, Interfaith/Meditation Room, and two conference rooms are also located in the Student Center Student Commons is the place to meet with friends, watch television, use the computers, or just relax. Located in the Student Life Center, (A2140), the Student Commons is the place to meet with friends, use computers, do your homework, watch television, or just relax. Clubs can use this area for activities by reserving it through Student Life at 708.235.7362. Located in the Student Center, (A2134 and A2110). Students and clubs can use this area for activities by contacting Barbara Donaldson at bdonaldson1@govst.edu or stop by the Student Life Office to reserve space. Billiards and table tennis are located in the A-Wing North Study Hall. Cues, balls, and paddles are available for check out at the Recreation and Fitness Center service counter (A1105). A valid GSU student or employee ID card is required for equipment check out. Student Life strives to empower students through interaction in self-initiated or planned activities with fellow students, faculty members and staff. It's based on principles in which the campus climate respects the rights of individuals and groups, encourages student success and ensures outlets for personal and professional development. Student Life is dedicated to creating student centered programming to create experiential learning opportunities for the student population. Lectures, concerts, or other special events are offered to the university community each semester. Student Life also collaborates with the GSU Program Council, Center for Performing Arts, GSU Library, and the academic colleges to present special events. Student Life provides funds for students to attend and/or present at conferences. 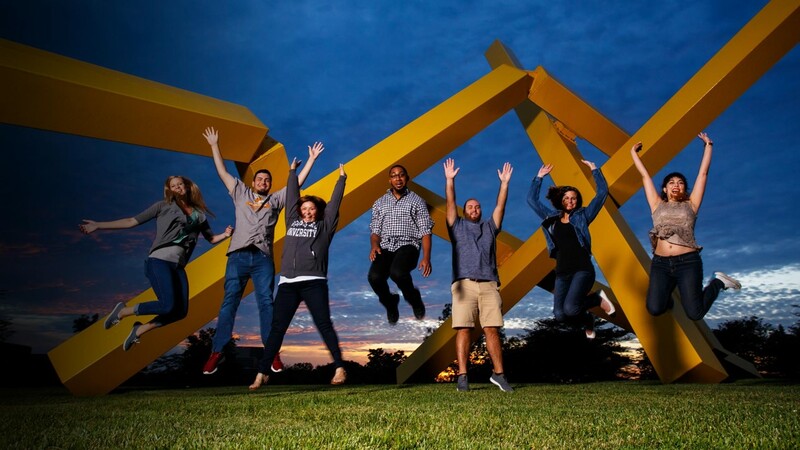 Student travel is designed to enhance the student educational experience here at Governors State University. Students may seek funding for conference travel by completing a request packet available online at www.govst.edu/studentlife. Students who seek funding for conference travel must be in academic good standing, be recommended, and complete all required forms. Funding maximum is $500 per fiscal year. Applications are submitted to Student Life (A2100) two months in advance; awards are subject to availability of funds. Contact the Student Life at SLCO@govst.edu or call 708-235-7362. The student newspaper, The Phoenix, is run by students under the direction of a faculty advisor. The Phoenix is dedicated to ensuring that GSU's student news is up-to-date and timely. There are opportunities for students with all skill levels, from writing to display advertising to get involved. The Phoenix office is located in Room E2543. Call 708.534.4517 or e-mail phoenix@govst.edu for information on involvement. A professional, entirely student-run campus news show keeps students up to date with everything GSU and more. Short news splashes provide information about programs, activities and events happening around campus. Watch the show daily on the Educator TV, the campus monitors and the This Week at GSU website. The program is hosted and produced by communications students through Digital Learning and Media Design. Students may take advantage of more than 70 student and university organizations, including the Student Senate, which exist at GSU. These organizations provide students with the opportunity to meet others with the same majors or interests. The majority of organizations are related to academic programs, while others support a variety of social and special interests. Any group of students can form new student organizations. A minimum of seven students can seek chartering as a student club or organization through the Office of Student Life. Students can select their advisor in cooperation with the Office of Student Life and the College. All organizations must renew their charters each academic year. For information or assistance, contact the Assistant Dean of Students at studentlife@govst.edu or visit www.govst.edu/studentlife. The Division of Digital Learning and Media Design houses two television studios and multiple video, audio and multimedia production suites. DLMD also co-operates The Educator, a full time cable channel available in most communities in the region on Comcast channel 16. The Division provides opportunities for students to learn in functioning broadcast facilities and to work with our award winning producers and directors on professional productions with national distribution. Testing accommodations are available for students with documented disabilities. For more information, call 708.534.4508. Information about the ETS Proficiency Profile exam may be obtained in the students' respective college. Students enrolled in the GSU Counseling program can obtain the registration application for the NCE (National Counselor Exam) offered twice a year on campus from the Division of Psychology and Counseling in the College of Education. Tutoring services are offered for students free of charge. The following subjects are tutored: math, accounting, economics, finance, computer science, statistics, and some science courses depending on tutor availability. For more information, please contact the Coordinator of Tutoring and Academic Assistance at 708.235.3962 or visit the Student Success Commons/Academic Resource Center website at www.govst.edu/arc. Governors State University opened its first on-campus residence, Prairie Place, in the fall of 2014. The facility accommodates 290 students and offers both suite and apartment style units. The building was designed to accommodate students of all class levels, freshmen through graduate. Students must be enrolled in at least six credit hours each semester or three credit hours in the summer session in order to be eligible to live in Prairie Place. For more information about on campus housing, please visit our website at www.govst.edu/housing. The Veterans Resource Center, located in the Goodman-Malamuth Technology building (GMT160), provides a common area for veterans to interact, study, and receive updates on veteran resources and programs. The Coordinator for Veterans and Military Personnel serves as ombudsperson to veterans, active duty military, and their families. The Coordinator is available to assist incoming students with the application process, registration, transcript evaluation, and navigation of the university and its website. The Coordinator will also refer students to resources within the university such as financial aid, student services, career services, and state and federal veterans' representatives. For more information contact: Mr. Kevin Smith, ksmith9@govst.edu, 708-235-2223, or go to http://www.govst.edu/veterans/ for more details. The goal of the Writing Center is to provide writing and research help for students where and when they most need it. Students can get intensive help with writing at the Writing Center, located in the Student Success Commons/Academic Resource Center, B1215. Visit the office or call 708.235.7337 to make an appointment for a one on one consultation. Writing consultants are also located in the library for help with research papers, including help to narrow a research topic, information about APA, MLA, or other documentation styles, assistance in planning the paper, and any other questions. The consultants in the library are there to answer questions and do not review papers. The Online Writing Center offers both help with papers and resources for documentation, planning, grammar and style at www.govst.edu/owl. Also, a paper may be emailed to a consultant who will help identify possible problems and offer revision suggestions. In addition, links to a template that will format APA papers and other documentation help are provided on the online Writing Center website. For more information visit the website at www.govst.edu/owl.